Back from vacation and my day lilies are finally blooming. For several weeks I saw a Monarch Butterfly flying through the yard so I decided to buy two milkweed plants since Monarchs look for milkweed to lay their eggs on so the Monarch Caterpillar can eat the leaves before forming a chrysalis. 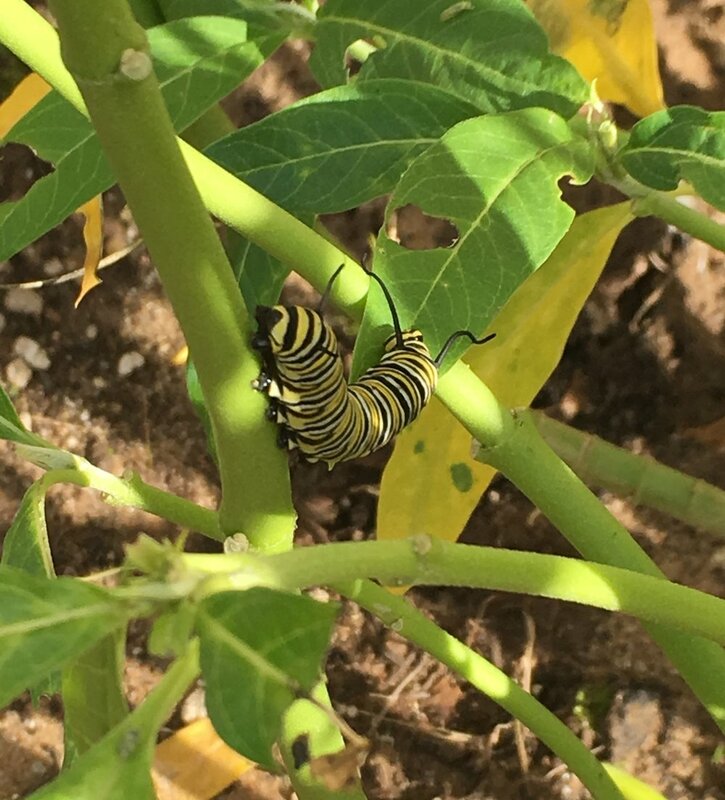 I saw the butterflies landing on the plant several times and I have seen several Monarch Caterpillars on the plants but no chrysalis so far unless they are so hidden that I can’t see them. The caterpillars grow very quickly because they are constantly eating the leaves of the plant. Still waiting to see if the 5 caterpillars that I currently see will each turn into a chrysalis.